Here's something a little different from one of my long term projects. The old Nat West Tower is being demolished and I was tasked with taking a portrait of the crane operator some 350 feet up in the air for PR purposes in the regional news as well as national construction press. Taking only minimal gear due to the limited space afforded by the 22 ladders to the top, this was portrait photography on a different level! (Thank you very much I'm here all week!). For those who are interested I took the Profoto B2 pack with one light and the octagonal OCF soft box due to their size and weight advantages. It proved really useful having the additional power over a speed light due to the weather conditions and the dark clouds that gathered as we climbed the tower. Matt from Headline PR acted as a moveable light stand as well as conducting the interview with Bob. It certainly made for a memorable shoot with a 350 foot drop inches away while the wind blew hard and the rain periodically lashed down. Here's the abbreviated article and some of the images from the shoot. 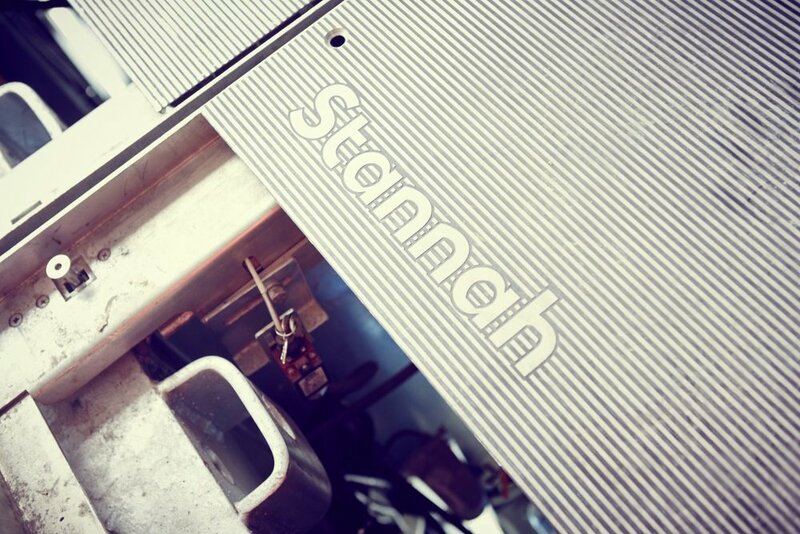 Stannah (well known for their stair lift!) recently commissioned me to photograph a series of images of their workforce installing lifts and escalators during the rebuilding of Birmingham New Street Station. Stannah wanted to convey the professionalism and expertise of their team in the dramatic setting of the new atrium, but also wanted to make sure the images looked real rather than too set up. I didn't want to use models and set up scenarios as it is very difficult to achieve the same level of authenticity as doing it for real when such technical expertise is on show. 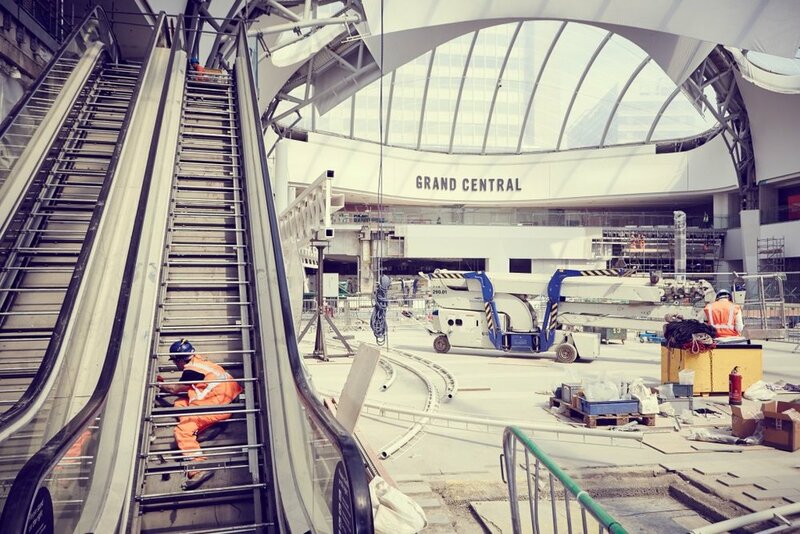 The construction site at Birmingham New Street Station has many issues to contend with, most importantly health and safety above anything else., therefore the images not only needed to look the part but also be taken in safety and to portray safety. Other issues included access, consideration for the many other contractors on the site (the shoot was scheduled for 5 weeks prior to the entire project being completed). 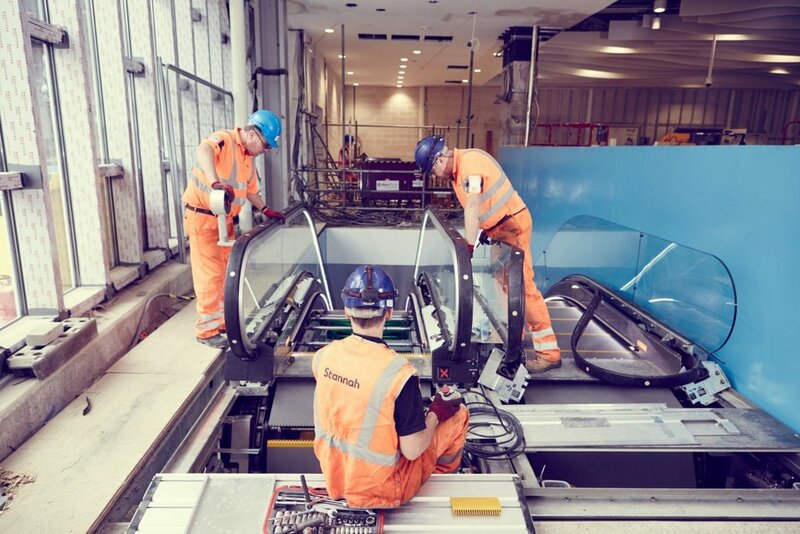 Also as I wanted to make sure it was as real as possibleI had to schedule the shoot for a time when Stannah were actually on site installing their escalators and lifts - and their engineers had time to be involved with a photo shoot as well!